We Want to Help You Find the One. Learn to Recruit Better with Performance Profiles. What's in the Fact Sheet? Our knowledge that job descriptions attract individuals who want to accomplish tasks, while performance profiles attract individuals who are motivated to accomplish goals—which is exactly what you need in your community. 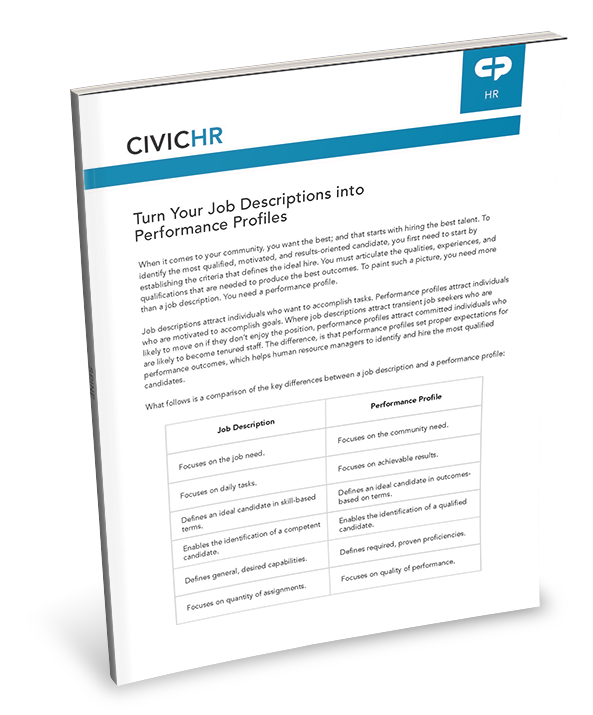 Teach you the differences between job descriptions and performance profiles, and how you can convert your current job descriptions into performance profiles that will attract the best talent for your community.